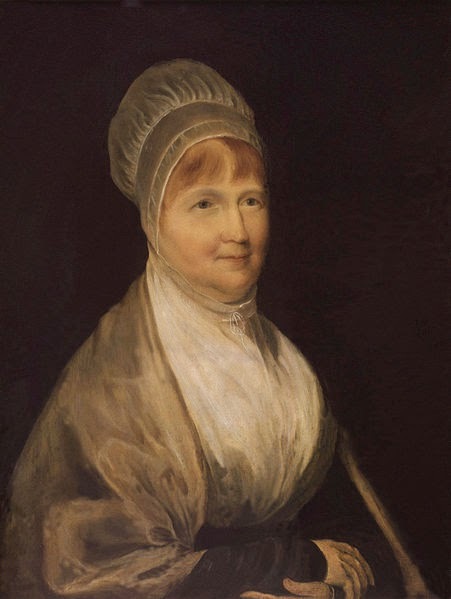 Elizabeth Fry, the "Angel of Prisons"
The Gurneys were socially aware Quakers, and when Elizabeth Gurney was a young girl, she accompanied her mother on relief visits to the poor and sick. Later, she became friendly with the Norwich writer and activist Amelia Alderson (Opie), and in the Alderson home was introduced to the thinking of Thomas Paine and Mary Wollstonecraft. After she heard the preaching of a visiting American Quaker, William Savery, Elizabeth Gurney expanded her interests, helping in a number of local charities, including efforts to teach poor children to read. Married to Joseph Fry in 1800 (he also belonged to a prominent banking family), Elizabeth Gurney Fry moved to London, became a Quaker minister, and bore eleven children. In London she also met Stephen Grellet (originally Étienne de Grellet du Mabillier), a French Catholic who had converted to Quakerism and become involved in missionary work throughout America and Europe. Grellet had also become especially interested in prison conditions. In 1812, at the prompting of Grellet, who had been shocked after a visit to Newgate Prison, Fry herself visited the prison. Although circumstances in her own life were difficult--including births of two more children and the death of her four-year-old daughter--Fry dedicated herself to prison reform. 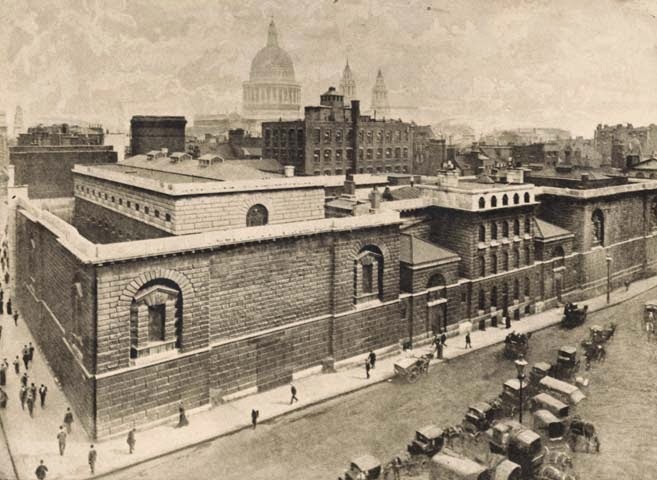 By 1816, she was making regular visits to the prison, working to ameliorate the conditions of the prisoners, attempting to raise funds for educating the prisoners, and, ultimately, helping to establish the Association for the Improvement of the Female Prisoners in Newgate, a committee that organized a school for the children of female prisoners, hired a matron to oversee the incarcerated women, and developed programs for the women to produce goods for sale in order to buy provisions that would improve their living conditions. In 1818, Elizabeth Fry became the first woman to give evidence for a House of Commons committee when she testified before a committee investigating London prisons. 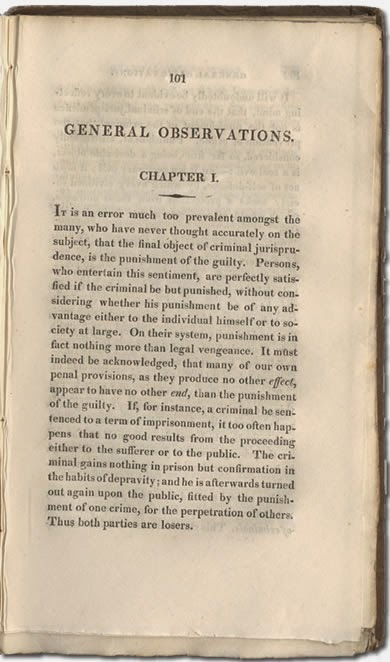 A year later, in 1819, she published Prisons in Scotland and the North of England, and in 1825, Observations of the Siting, Superintendence and Government of Female Prisoners. In addition to her work with prison reform, Fry was concerned about the homeless--after seeing a child who had died on the streets of London, she established "night shelters" in London. She helped to set up "visiting societies," volunteers who would seek out the poor and ill in their homes in order to offer aid, and she established a nursing school, said to have inspired Florence Nightingale. And Fry was widely criticized, too--for having neglected her duties as a wife and mother. Fry died at the age of sixty-five, on 12 October 1845. There are biographies of Elizabeth Fry, including one recently published, but it's hard to find one that isn't hagiographic or simplistic. I recommend June Rose's Elizabeth Fry--it's out of print, but you can easily find used copies.